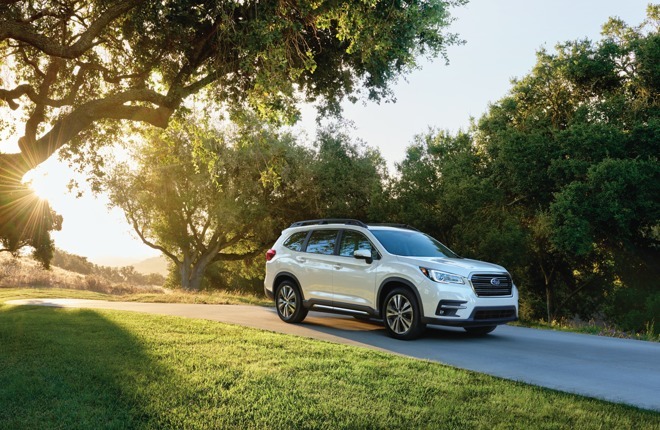 Subaru this week announced pricing for its latest SUV, the 2019 Ascent, which will come with Apple CarPlay and Android Auto on every trim when it rolls out this summer. The vehicle will start at $31,995, and by default run CarPlay on a 6.5-inch Starlink display, the automaker said. Three higher trims —placed between $34,195 and $44,695 —will upgrade that screen to 8 inches. Some other tech-related features include multiple USB ports, and LTE/Wi-Fi support on every trim beyond the base configuration. CarPlay has become increasingly common on new vehicles, though the technology is still often reserved for mid- to high-end models or optional upgrades. BMW is even planning to charge drivers $80 per year as of 2019. Apple's biggest coup may have come in January, when Toyota revealed it was finally relenting to pressure and planning its first CarPlay support. For years the Japanese business decided to concentrate on its proprietary infotainment platform.